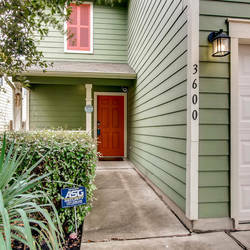 3 BD | 2.5 BA | 1699 SQ FT | Offered at $200,000 | Sold for $205,000! Nice 3/2.5 home in Colorado Crossing. Great kitchen with new backsplash. Open floor plan with nice layout for any buyer. Huge, private backyard for entertaining and relaxing. This home has new carpet and paint and is move-in ready. Affordable home with easy access to Hwy 71, I-35 and 130. This HOA includes a park, playground, and community pool, too! For more information, call Ashley Markham at 619-675-1848 or email us at Listings@Papasanproperties.com.